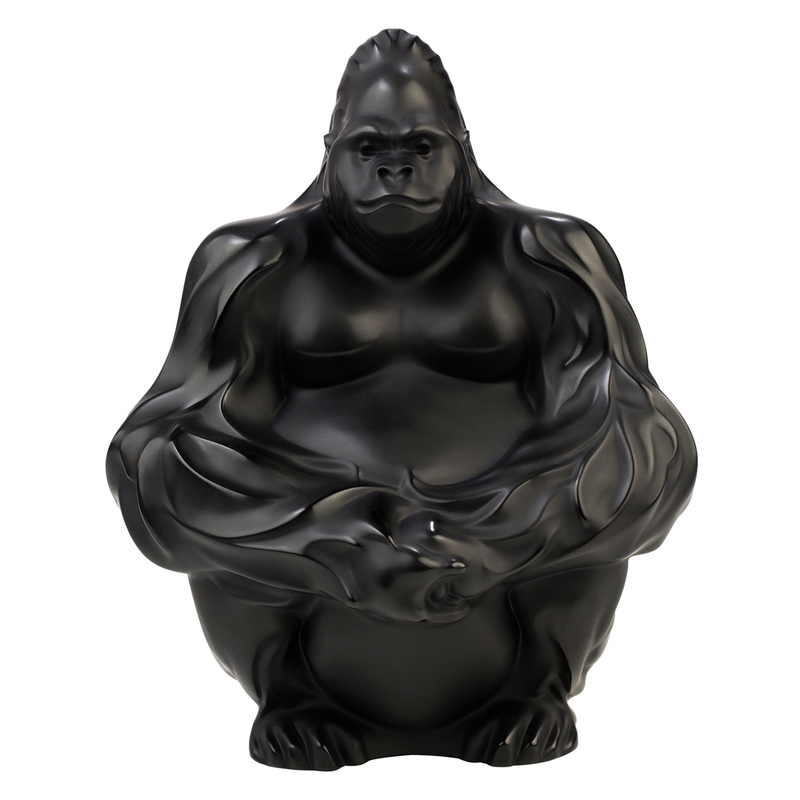 Inspired by the fauna of the jungle, new wild animal sculptures have been added to the Lalique bestiary. 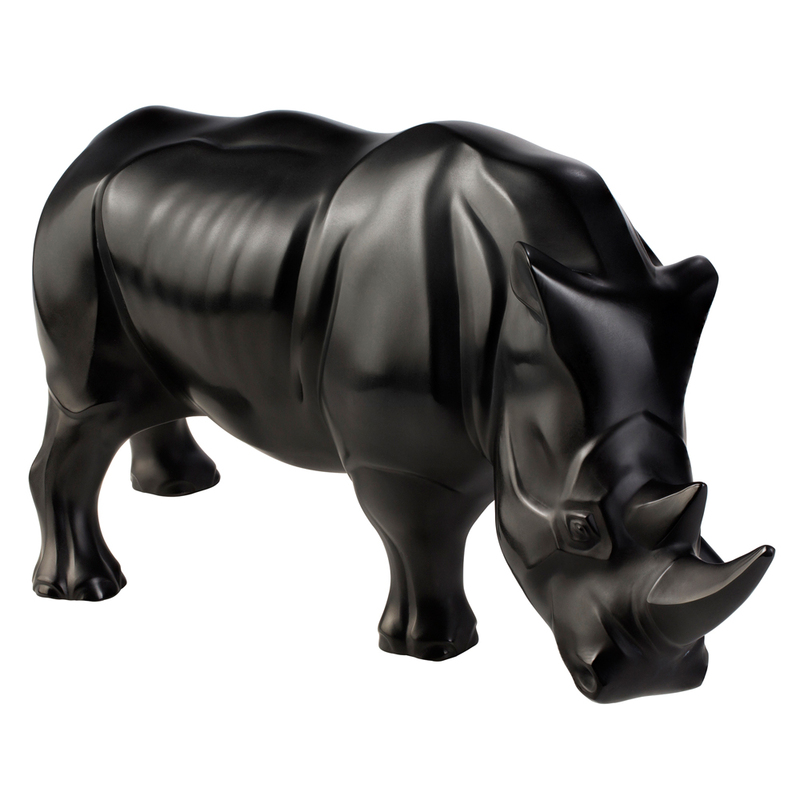 The purity of the satin-finished and polished crystal, the brand's hallmark, contrasts with the powerful design of these symbols of strength and power.Depicted since prehistoric times, the Rhinoceros often appears in decorative arts, in famous prints, paintings or sculptures. 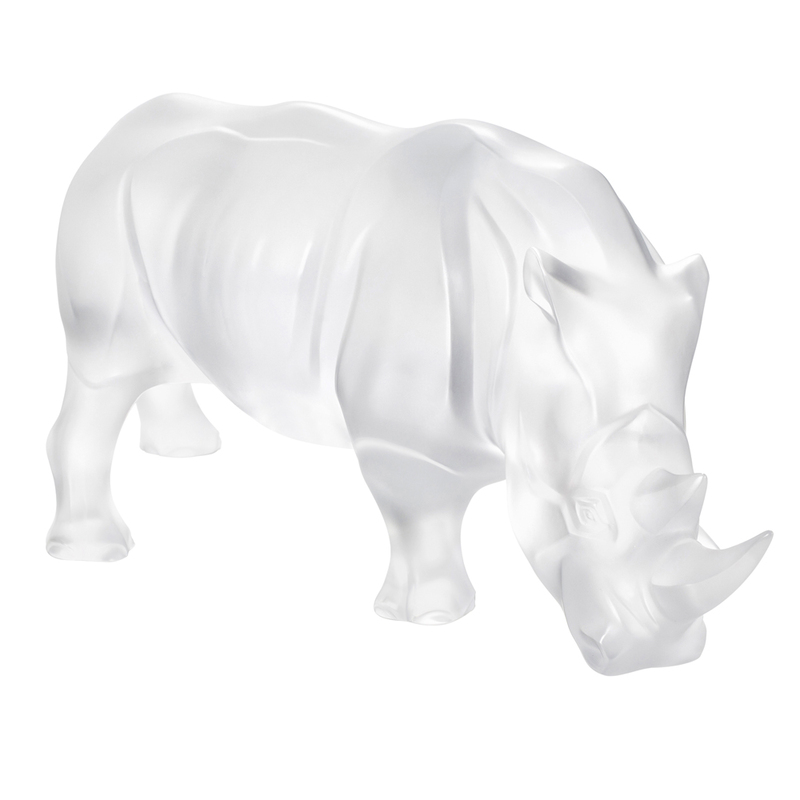 Calm and serene, determined and placid, this crystal Rhinoceros comes in clear and black. 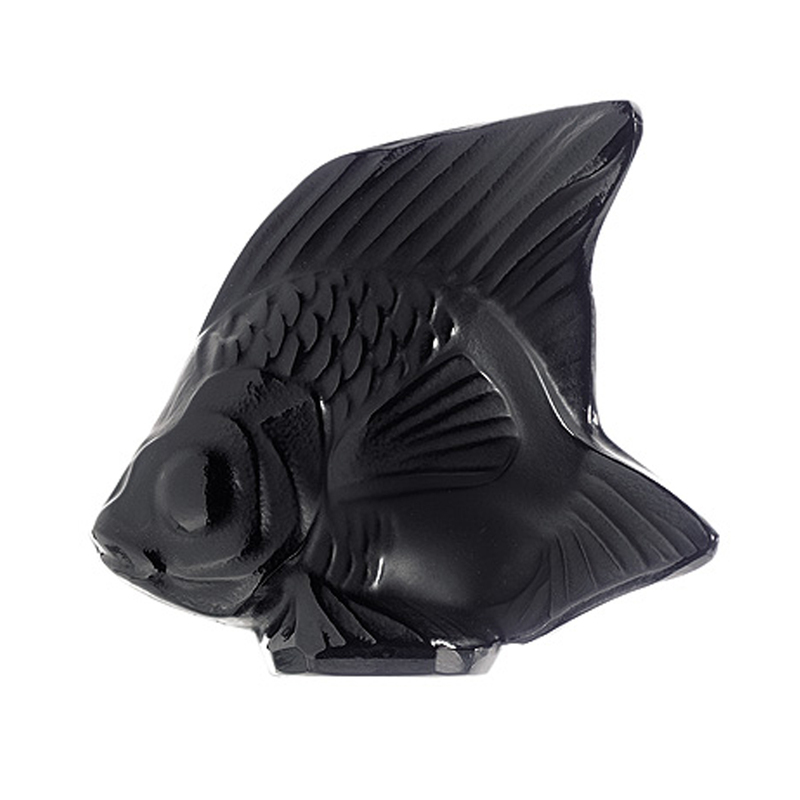 In a limited edition of 17 pieces, it is also issued in a pink version, a disruptive and trendy play on the premier colour for 2017 (boutique exclusive).